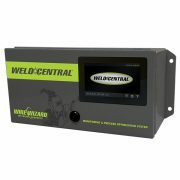 Wizard View® provides an easy to use interface for the Weld Central® System that graphs and logs data, alerts, wire & gas usage and other key welding performance information. 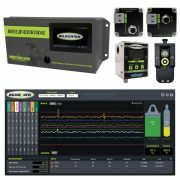 The software collects data from any torch with the Weld Central® hardware installed. 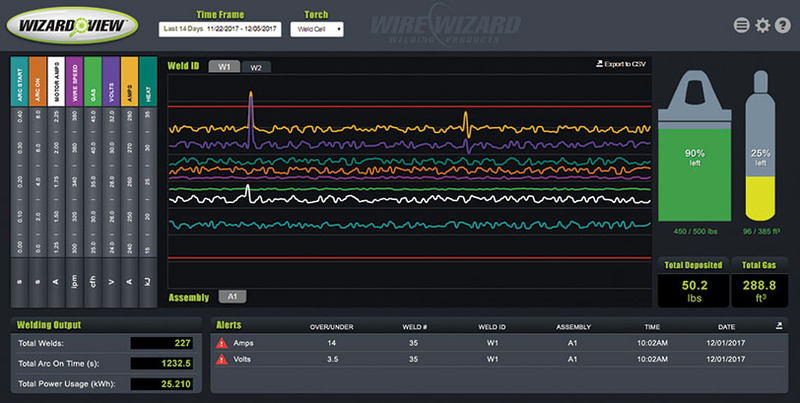 Simply browse to the desired torch to see a visual representation of the welding data along with the wire and gas usage information. One software license is included with each Wizard View controller.